This year’s London Marathon was a record-breaker, attracting over 40,000 amateur and professional participants. The world-famous race has helped to make the city a hotspot for runners and joggers. As Runner’s World magazine points out, London has ‘the most active running community’ in the UK. London-based users of the Strava running app clocked up more than two million runs in 2016 alone! As London podiatrists, we know how enthusiastic many Londoners are about pounding pavements and dashing through parks. However, we also know that without proper foot care, runners and joggers are at greater risk of foot pain, injuries and ailments. Read on to help ensure that your hard-working feet get the extra care they need. It’s particularly important for runners and joggers to keep their toenails short. If a nail overhangs the toe, your trainers will exert undue pressure on it, sending shockwaves through the nail bed. That leads to swelling and slow-to-heal bruising. Trim your nails regularly, cutting straight across. Avoid giving them curved edges, as that only encourages the development of ingrown toenails. If your skin is dry instead of supple, striking the ground when running or jogging may cause foot fissures. Those deep splits can bleed, become infected and cause tremendous pain. Guard against fissures by moisturising every day with a good quality foot cream. Rub in the cream thoroughly to relieve foot fatigue and boost circulation. As skin damage is exacerbated by friction, another tip is to use an anti-chafing gel on your feet. Increase its effectiveness by applying it to the outside of your socks too. Intense activity leaves feet feeling hot, sweaty and swollen, which can cause discomfort and even health problems. Soak tired feet in an old washing-up bowl filled with cool water (this should be avoided if you have vascular problems). As bacteria and fungi thrive in warm, damp conditions, wash and dry your feet daily to remove sweat and reduce the likelihood of odour and infections. Your feet have a quarter of a million sweat glands, so good foot hygiene is vital. Wear socks with a ‘wicking’ action – they’ll draw sweat away from skin. If your feet are itchy, flaky and sore, you may well have athlete’s foot. The sweat-related fungal infection is common among runners and joggers. Visiting a foot specialist for athlete’s foot treatment will help you to overcome the problem and limit its effect on your training regime. What’s more, walking barefoot not only keeps feet cool but also strengthens the muscles. It’s essential to select the best trainers and socks for your needs. If your footwear is too restrictive, you could suffer from ingrown nails, nerve pain and poor circulation. Too loose, and calluses, blisters and sprains will be on the cards. Consult a podiatrist for impartial advice and expertise, and then visit a running shop with a specialist fitting service. Trainers typically need replacing before you’ve covered 500 miles. You can take advantage of state-of-the-art gait analysis techniques, which allow our foot experts to identify any foot function issues (such as excessive pressure on certain areas). Treatment usually consists of foot exercises and custom-made orthotics for your shoes, which are designed to relieve pain and discomfort. 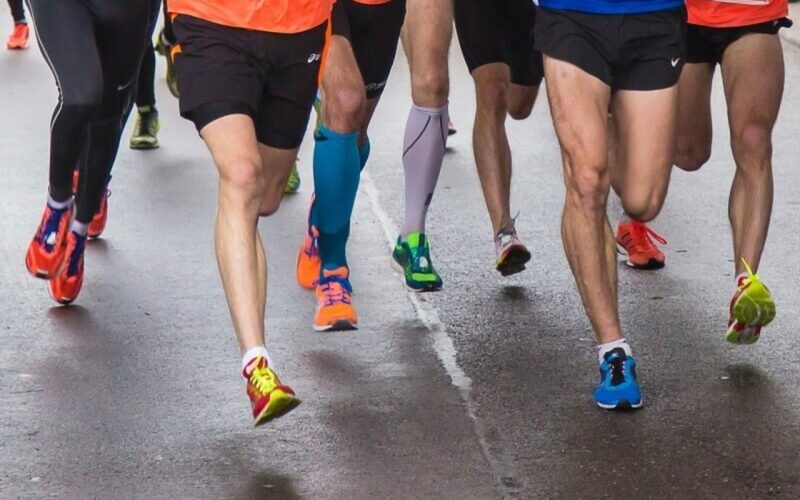 Gait analysis and corrective treatment can be invaluable if you have a foot complaint or want to boost your performance when running or jogging by optimising your foot function. For expert foot care for the runners and joggers of London, please call Feet By Pody today on 0207 099 6657 or book an appointment online.